It is an exciting time in the City of Edmonton when it comes to recreational facilities. Never has the public or city employees had so much choice in choosing a facility to help them get in shape or to just have fun. 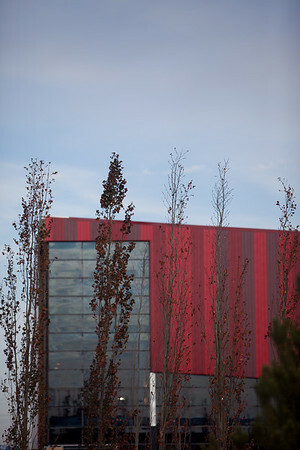 Recently the city opened the St. Francis Xavier Sports Center. I thought I’d head down and get some photos of the finished project. Complete with a large gymnasium dividable into 3 full-size gymnasiums, playing space for basketball, badminton, soccer, volleyball, futsal, martial arts, or other activities, the centre is a welcome addition to West-Edmonton. You’ll also find a large indoor jogging/walking track suspended above the gyms with plenty of spectator seating and brand new change rooms and washrooms. Open to the public since July, St. Francis Xavier Sports Centre offers exciting new sports and fitness opportunities for athletes and the community year-round. We just happened upon a highly talented group of women shooting some hoops down at the gymnasium. Here are the ladies of the Windsor Lancers basketball team, squeezing in a last minute practice before they headed down to the University of Alberta for the 18th annual Pandas HoopFest tournament. They were gracious enough to let us shoot a couple photos of their practice. I then headed out to the City’s newest and largest recreation centre, the Terwillegar Community Recreation Centre, which is almost ready to welcome residents. While the facility is still under construction during our visit, it is sure to be the heart of the southwest corner of the city, full of activity and energy, where people of all ages and abilities can gather to learn, exercise, relax, meet, and have fun. Terwillegar Rec Centre will be Edmonton’s premier recreation centre with exceptional health, wellness, and sports amenities. Standing on the site you can’t get over just how large this project really is. Here is a sneak peak of what it looks like so far. The centre will house an aquatic centre with a 53 metre, 8 lane pool with 1 and 3 metre diving boards; as well as a 5 metre diving platform; leisure and wave pool with spray features, a 30-person whirlpool, lazy river and waterslide, a tot pool with ramp access, and an 18-person steamroom. There will be a large fitness centre with two program studios, a 206 metre indoor walking/jogging track, and a triple gymnasium. For hockey and skating buffs you’ll find 4 NHL-size sheets of ice, with 20 dressing rooms, and room for up to 710 spectators in Rink #1 and between 200-260 spectators on the other 3 rinks. For families with young children there is a children’s wing with indoor playground, child-minding room and 3 children’s program rooms plus 10 multi-purpose rooms. 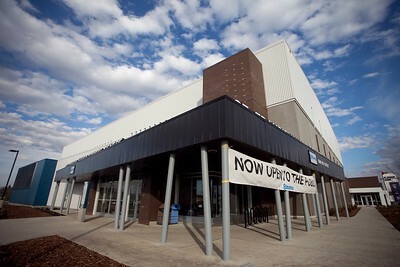 Those of us at the city can’t wait for the Terwillegar Recreation Centre to open. You’ll find a wide variety of drop-in and registered programs for all ages and abilities at the St. Francis Xavier and Terwillegar Rec Centres. 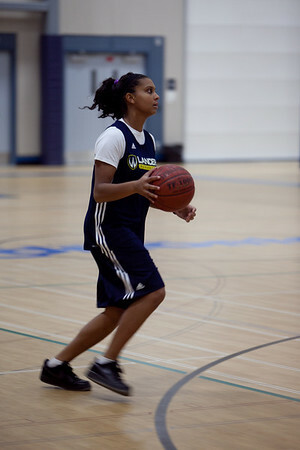 Look for the City of Edmonton’s brand new E-Active Guide for program and registration details available November 1st.